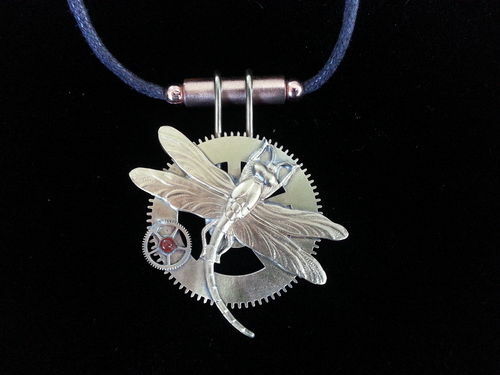 This dragonfly pendant is made of brass and is mounted on recycled copper. 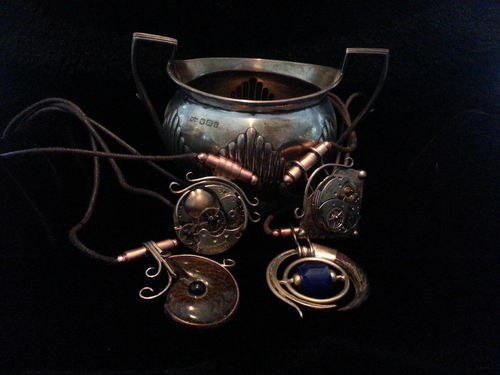 This is a grouping of some of my pendants. 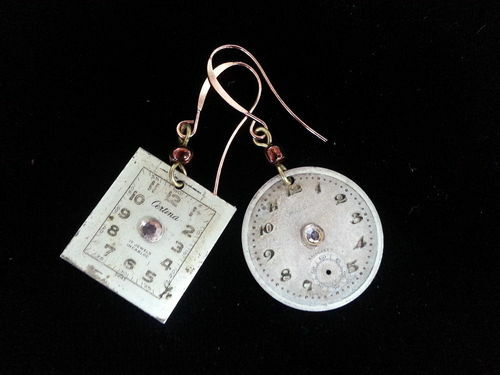 Here is a sampling of my watch part earrings. 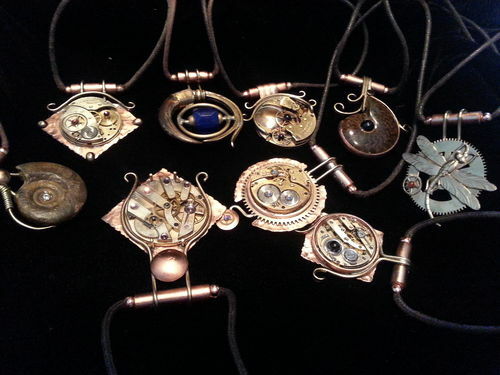 These are from very old watches. Some samples of my work. By appointment only. Please phone ahead 250-285-3610.